The AMORES project will be implemented through a European partnership comprising nine organisations from six European countries. The Croatian Academic and Research Network – CARNet as a National Research and Education Network (NREN) is a specialised internet service provider for the research and education communities within a country including K-12 and higher education. CARNet also provides a range of additional services with the aim to encourage the development of information society and to support education for the new era, such as: registration of Internet domains, security advice, hosting service for primary and secondary schools, CMS for schools, webmail, e-library, Moodle, National distance learning portal "Nikola Tesla", Cisco Academy, CARNet Users Conference – CUC, teacher training etc.CARNet is the project applicant organisation and is responsible for the overall exploitation and international competition as well as for the technical management of the project and is supported by 36,6 CC in financial and administrative tasks. The role of Coventry University in the project will be to provide advice on the user needs analysis and the literature review for the state of the art and advice on learning design and providing English language support for activities and resources. The evaluation of learners’ experience and staff development will be one of the main focus of the institution’s contribution, through the evaluation of the effectiveness of the new methodologies. Dissemination activities will be conducted through CAS and the Coventry Region ICT Teachers' Conferences. These conferences will include both presentations of activities and workshops using the findings of the projects to introduce teachers to the use of e-artefacts in education. An academic paper based on the findings of the project will be presented at the Association of Learning Technologists Conference. The Staffordshire University conducts research into e-learning and their recent Mobile Technology survey of 1600 students showed that 98% of students own mobile phones and the majority were willing and interested in using mobile technologies in their learning. Staffordshire University will be involved in the following activities for the project: Liaison with the UK primary school (St Mary’s RC Primary School), Management of financial matters concerning Staffordshire University and St Mary’s RC Primary School, Procurement of ICT for the UK primary school, Devising, developing and delivering the information literacy training. Data gathering and analysis, Production of journal articles for high quality peer reviewed international journals, Evaluation of the project Presentation of findings at the final conference. 36,6 CC is an umbrella institution and non-formal educational centre, gathering professionals from many fields establishing interdisciplinary Experts Zone for the local development through international experience exchange with strong links to school sector. 36,6 CC competence panel members. For the purpose of the AMORES project 36,6 Competence Centre shall involve professionals from ŁCDNiKP (Lodz Centre for Teachers’ Training and Practical Education)http://www.wckp.lodz.pl/ and ALTEREDUKACJA http://alteredukacja.pl/ (teachers training initiative promoting innovative methodology in education). We will target our activities to respective teachers of School4Child (http://www.school4child.pl/) along with the cooperation of its Headmaster. Karlbergsskolan is located in Köping, a municipality in the southern parts of Sweden. The building has a great educational history as the oldest parts were built in 1907-1910 and was first inaugurated in the autumn of 1910. At the time Karlbergsskolan provided upper secondary schooling. Today Karlbergsskolan is a modern secondary school, and has 480 students between ages 12 and 16 (grades 6 to 9) registered. Since 2010, modern technology is a natural and important tool for all teachers and students, therefore today all students in grades 6 to 9 have their own personal laptop or iPad. Three teachers will be involved in the project, working together with approximately 175 students, divided between ages 12 and 15. Karlbergsskolan will take part in the user needs analysis and the pilots, as well as in dissemination. CYBERALL ACCESS is a training consultancy company with a profound experience in the implementation of european funded projects in the area of research, commercialisation, education and culture, employment support, capacity building and social and digital inclusion. It will be heavily involved in promoting and raising awareness of the project scope, results and achievements. Emphasis will be given in order to form the dissemination strategy, develop the project website that will be fully interactive and will allow visitors to share their views and download project material, increase the visibility in web, engage sociall media channels, but also traditional ones related to the project european scope. Also CYBERALL-ACCESS will support the organisation (manage the registrations through an online sytem) of the project events, manage the email campaigns and registrations to the project. Northumbria University (NU) is the largest university in the North East of England and educates 35,000 students (the 5th biggest UK University in respect of student numbers) from 140 countries across four Faculties. It is also the largest provider of graduates to the professions, business and industry in North East region. The University offers programmes in 30 of the 32 most popular academic disciplines. It also has substantial overseas operations, particularly in Asia, with 4,000 students studying its programmes at partner institutions in Hong Kong, Malaysia, Singapore and elsewhere. The University carries out intensive research across its disciplinary portfolio, and in the UK’s Research Assessment Exercise 2008 – a comprehensive sector-wide assessment of research quality – it delivered the most significant improvement in the North of England, with research in eleven of twelve areas submitted having elements described as “world leading”. Since 2008 there has been further significant internal investment in both facilities and staff across the University, and this has been reflected by more than doubling the number of research active staff submitted from 161 FTE staff submitted in RAE2008 to over 342 FTE in REF2014. Northumbria University is strongly engaged with European research and development activity and currently has nine projects which are funded by the Seventh Framework Programme with a value of approximately £3M. These are organisations, people and projects AMORES is collaborating with. TALES is a Comenius Multilateral project (November 2013 – November 2015) that investigates the educational impact of oral and digital storytelling in formal education, through good practices and pilots in schools all over Europe. GULL - Guerilla Literacy Learners GuLL project seeks to improve the language literacy of learners. The project asks learners to reflect upon the unorthodox links (Guerilla Patterns) they make and then remediate them. The patterns we have observed so far are: guessing, mixing rules unorthodoxically, applying rules in the wrong contexts, and applying mathematical logic to solving linguistic challenges. Within the project the learners will create language clips (videos) showing how they acquire the language. eLektire is an e-book educational project, commissioned by Ministry of Education, supported by CARNet and realised and produced by Bulaja naklada. The most famous works of world and national literature, by authors like Marulić, Šenoa, Krleža, Homer, Shakespeare, Balzac, Dostoevsky or Kafka (so far more than 350 books!) are published online, freely available to students and teachers, in 4 different standard e-book formats, accompanied by various multimedia content, audio and video. 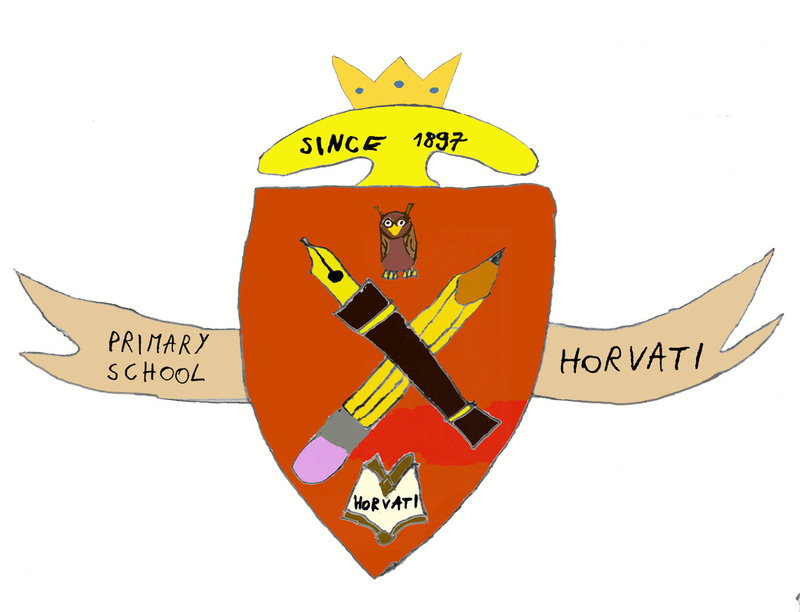 It is one of the most popular and widely used educational websites in Croatia, with more than 100,000 registered users.